I’ve been spending a lot of time sewing in our studio. After making Abigail’s quilt square for the Threads of Life Quilt I decided that I would take the concept for the square and turn it into a pillow, Abigail’s pillow. 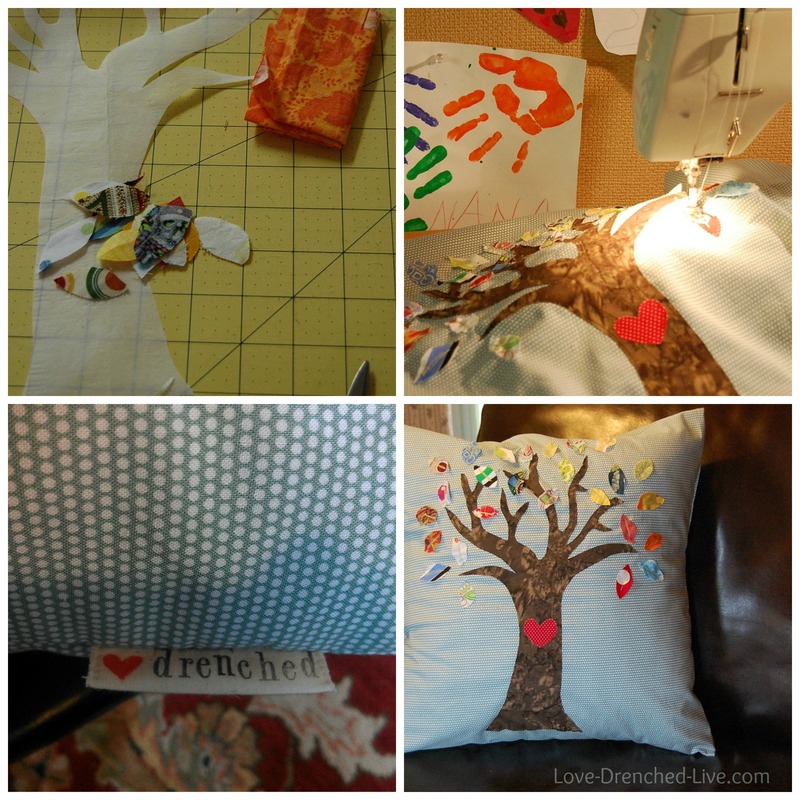 The concept is the same as the square, the tree is one that we designed to put on the back of her favorite green sweatshirt and the leaves are made from fabric used to make pillows in her room, her favorite homemade pajamas and lots of other fun projects we have created over the years. 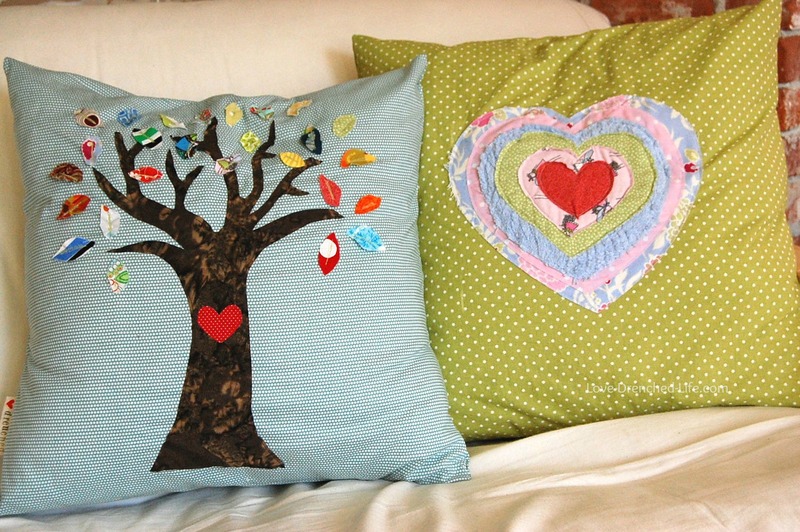 Of course I then created Anna’s pillow, which has a giant heart in the center made with six layers of fabric. Anna loved to draw hearts, I have hundreds around our house that she has drawn, painted, hand stitched and embellished. The fabric for the hearts came from the same fabric used to make a quilt for her crib, pillows in her room, pajamas that she wore on a regular basis and her homemade dance bag that now carries her dirty socks. I would love to eventually make and sell the pillows and put all the proceeds into the Anna and Abigail Memorial Fund. 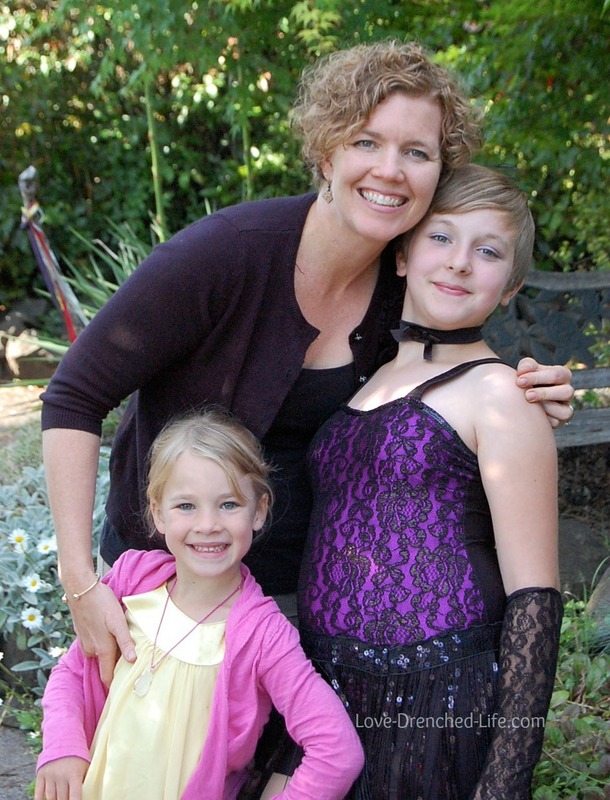 Portions of this fund will be used to build the best playground in the world in honor of my girls. We are also in the process of developing a foundation in their name which will continue to give to our community in a variety of ways. I’m still working out the details and trying to figure out how to start a foundation (I will write more about this at a later date). So much to do. I love figuring it all out and watching as God puts the pieces and people in place to make it happen. I’ve been so busy celebrating my girls and it feels good. I figure that if they were here I would be making their lunches, taking them to activities, listening to their stories, helping them with their homework and many other joyful parenthood responsibilities. I would be taking care of them. I may not be able to physically hold them now but I can hold them in my heart and celebrate them in new ways, ways that will keep their creative, energetic and lovable nature alive. I will do this till we are together again, that is my promise to them. I will never stop celebrating them! 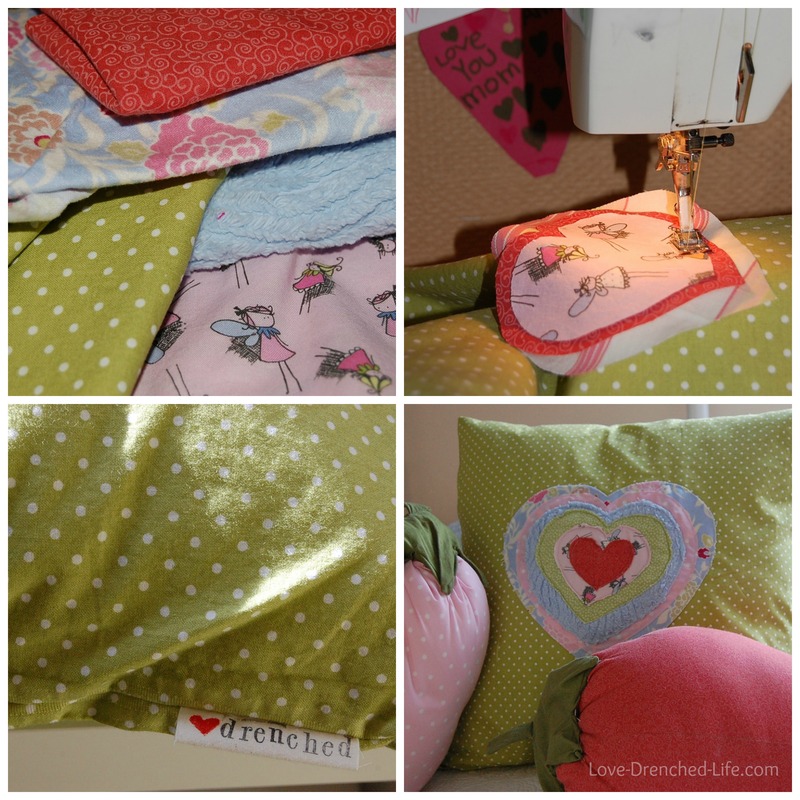 Love your pillow designs! Would definitely be interested in placing an order when you are ready! We think of your girls so often…what a beautiful way to celebrate them! Love them! I would like to order a pillow for Brooklyn as well! Let me know when you start doing this. You have such an amazing eye, I love the way the colors and meanings all come together. Such an awesome way to celebrate your beautiful girls. Allow me to make the second order, 2 of each for both of my girls! What a great idea!! I will put your order down and will let you know when I’m open for business. Thank you Vanessa! Chicks with Rafts Rule!!! Love the pillows and the ways you are celebrating your girls every day. Love the pillows and the design. Love your plans. I love your celebration intentions. I think you will succeed on all counts. Love to you Susan! Let’s make some pillows, Friend!!! Oh we will be making some pillows!!! Can’t wait! I’d love to place the first order! Griffin and grace would be honored to have special Anna and Abigail pillows atop their beds. You do beautiful work – and are celebrating them so well! Love you! I will let you know when I’m open for business Jamie! Love you too! These are so precious. I love the love drenched tags! Did you have those made custom? My mom sewed a lot when I was growing up and she ordered custom labels. Your little labels reminded me of my mom’s. :o) sweet little touch.